On the 37th Year of the invasion and occupation of Cyprus, the people of Cyprus are commemorating not only the invasion of 1974, but the loss of lives due to the naval base blast. We, the overseas Cypriots, will continue the fight for our brothers and sisters in Cyprus, and we will continue until justice prevails. Please join us on for a memorial service on: Sunday, July 24th – 8:30 – 10:30 AM – Mnymosinon Commemorating July 20th at St. Demetrios Church in Astoria followed by coffee reception and luncheon. Let’s all take some time on Sunday to remember the tragic events of July 20, 1974. To spend a few minutes in recognition of those who gave their lives, of the missing, of the refugees, and of the enclaved. The world has changed in many ways since that day. Yet Turkish forces still occupy the small island Republic of Cyprus, a member of the European community. The overseas Cypriots have waged their own war against the Turkish occupation, and we have struggled against sometimes seemingly insurmountable forces. Although through the years we have not been frightened off by the success of the affluent Turkish lobby or the general indifference of the international community, many of us have been overtaken by the feeling of complacency. 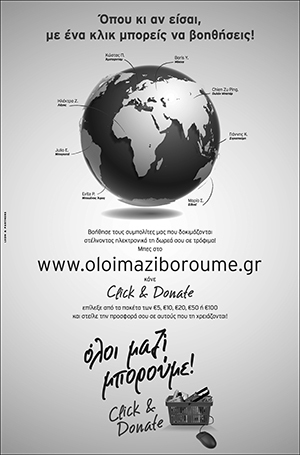 I encourage everyone to continue the fight for justice for the Cypriot people. Sometimes things in life are inherently right or wrong. And right is on the side of freedom for Cyprus! We urge everyone to stay strong and focused on battling this great ongoing injustice, and assure you that we will not stop, we will not rest, until we see the removal of Turkish troops, the removal of the illegal settlers, and return of all refugees to their homes. We urge all individuals, to express their frustration in the way they feel appropriate. Whether it’s writing letters to their Member of the Senate and Congress, writing editorials, or demonstrating their frustration outside of the Turkish embassy hosting cultural events – everything counts, everything matters, as long as we work legally and cohesively, as long as our efforts are united and work toward a common strategy. I am very happy to see the younger generation of Cypriot and Greek Americans active in the cause for justice for Cyprus. Our younger people may not have seen first hand the pain and violence of the war, but their hearts and souls are tied to Cyprus and the cause of justice and human rights. I remind everyone that we have promises to keep and miles to go before we sleep. We have made promises to our children, our parents and grandparents to see a united, free Republic of Cyprus.